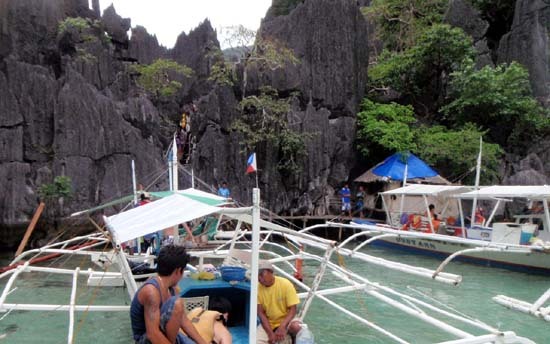 Coron Island Ultimate Tour(Tour B1) P650 - Kayangan Lake, Twin Peaks Reef, Twin Lagoons, Atwayan Beach, CYC Island and Coral Garden, including all island fees, boat, boat guide and lunch. 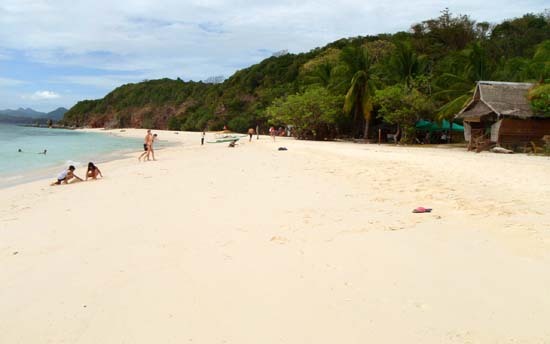 Island hopping, snorkelling, beach bumming...all for P650! 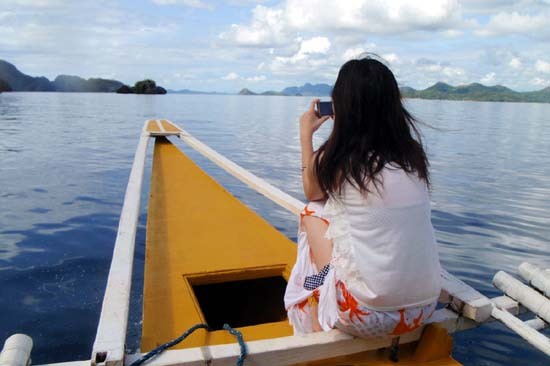 Calamianes Expeditions and Ecotours is the first ecotourism tour operator in Coron to introduce the community-based island-hopping packaged tour concept at an affordable price. This spawned a new industry of budget tour packages. (June 4, 2015) Being a solo traveler in Coron, which is the first destination for my first time in the Philippines, I chose Calamianes for the tours so that I didn't have to think about planning the daily activities. Every morning, I took one of their many tours which were well designed and operated by an effective and friendly staff. I actually made friend with them. They took us to many nice places where me and others enjoyed swimming, snorkeling and free diving. 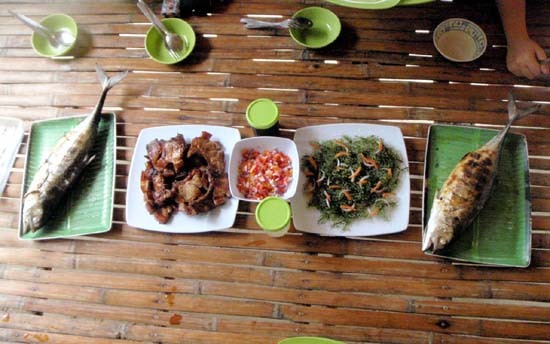 For lunch, they served us lots of simple but good food like rice, squid, big fish, sea weed salad, banana, Coke/bottled water. I was totally refreshed and filled up with good energy at the end of the day. And when I left for the airport, they called their friend to take me there in a very nice car with same price. Thanks a lot! (Nov 9, 2014) The crew of Calamianes Expedition made our time in Coron unforgettable. 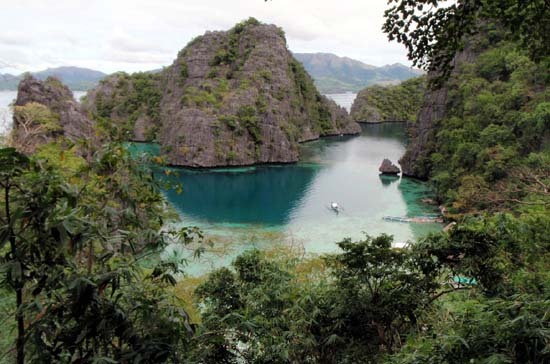 We saw Coron from its most beautiful side in a totally relaxed and comfortable way. The two guides really made sure we could spend as much time as we wanted at every single spot, provided as with a delicious lunch at the beach and even fulfilled an extra wish when requested. Plus the snorchel gear was very good. So if thinking about going with Calamianes, I totally recommend doing it. Thumps up! (Jun 16, 2014) Coron has been my dream destination for years. I have been able to visit Puerto Princesa and El Nido, equally beautiful spots but my experience in Coron has been one of the best I had so far. Office organization and waiting area of Calamianes Expedition is clean and engaging with pictures and maps posted on the wall. The staff are friendly and knows exactly what they are talking. During our tour, Sangat Hotspring was closed for some reason, therefore they took us to Kayangan Lake as replacement. It was value for money. Aside from the island hopping, we had seafood lunch and drinks to help us go through the entire day. Equipment rentals are available and at reasonable price. The boat drivers were attentive and mindful in informing us on specific areas where corals are abundant and beautiful. They also informed us not to throw garbage in the sea. I will definitely go back to Coron and still go to Calamianes for tours. With them, I am assured with the service and quality of people they give you. (Feb 5, 2012) Availed of B1 and B2 packages with my family. A real value for your money. (Jan 26, 2012) Would like to be back for other Day-Tour packages that I have not tried yet. 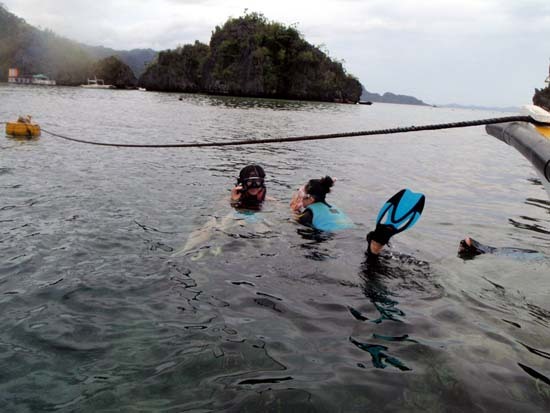 (Jan 10, 2012) I've done Tours B1, B2, C and G, combining island hopping with snorkeling and beach bumming. All those tours were fun and budget-friendly with a professional boat crew ready to extend assistance. It was an excellent occasion to meet new people who I ended up hanging-out with after the tour. Just a few years back, visiting the islands would mean chartering a boat and paying all the island fees. They amounted to a couple of thousands. 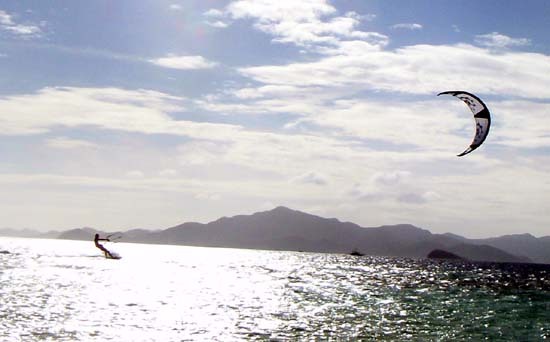 Now, you get 6 island destinations including island fees and a sumptuous lunch for a very reasonable P650! 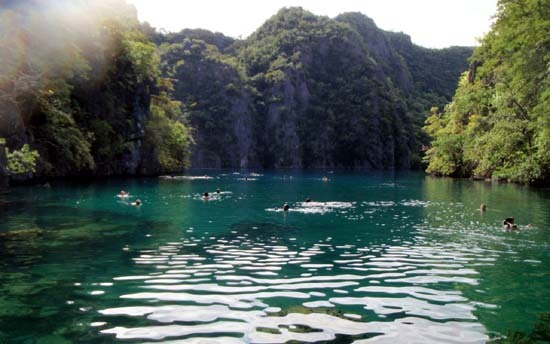 Big thumbs up to Al and Mae Linsangan for making Coron a backpacker-friendly destination.